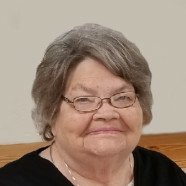 Tuesday, February 5, 2019 4:00-8:00 p.m.
Wednesday, February 6, 2019 8:30-10:30 a.m.
Kathleen M. Ripperda, nee Zurliene, age 80, of Breese and formerly of Germantown, died Sunday, February 3, 2019 at HSHS St. Joseph’s Hospital in Breese. She was born November 5, 1938 in Aviston, a daughter of the late Henry and Clara, nee Ratermann, Zurliene. In addition to her parents, she was preceded in death by her husband Robert “Jack” Ripperda, whom she married August 25, 1959 at St. Dominic Catholic Church in Breese and he died January 16, 2000; siblings, Cornelius Zurliene, Eileen Toennies (twin) and her husband Elmer, and Rita Horstmann; and brothers-in-law and sisters-in-law, Gene and Valeria Ripperda, Paul and Johanna Rakers, Norbert and Delores Ripperda, Cyril Ripperda, Julian Frey, and Florentine Ripperda. Surviving are her children, Michael (Twyla) Ripperda of Lebanon, Dennis Ripperda of Breese, David (Michelle) Ripperda of Aviston, Christine (Bryan) Hunt of Centralia, and Lynn (Russell) Huelsmann of Shiloh; grandchildren, Travis (friend Abbey Huelsmann) Ripperda, Rachel Ripperda, Emily Ripperda, Noah Hunt, and Carlee Ripperda; siblings, Laverne (Ethel) Zurliene of Beckemeyer, Phyllis (Robert) Dumstorff of Breese, and Carol (David) Hummert of Breese; sisters-in-law and brothers-in-law, Lorraine Zurliene of Breese, Jim Horstmann of Breese, Virgil Ripperda of Trenton, and Loretta Frey of Pierron; special family friends, Vernon and Ann Mohesky of Breese; and numerous nieces and nephews. Kathleen was a babysitter for many years and a homemaker. She was a member of St. Augustine Catholic Church and Altar Sodality, Red Hat Society, and honorary member of the HSHS Hospital Auxiliary. She enjoyed watching the St. Louis Cardinals, reading, cooking and baking for her family, but most of all spending time with her family and friends, especially her grandchildren. Funeral Mass of Christian Burial will be Wednesday, February 6, 2019 at 11:00 a.m. at St. Augustine Catholic Church in Breese with Fr. Chuck Tuttle presiding. Interment will follow in St. Dominic/St. Augustine Cemetery, Breese. Visitation will be Tuesday, February 5, 2019 from 4:00-8:00 p.m. and again on Wednesday, February 6, 2019 from 8:30-10:30 a.m. at Moss Funeral Home in Breese. Memorials may be made to St. Augustine Catholic Church or Clinton County Relay for Life and will be received at the funeral home.